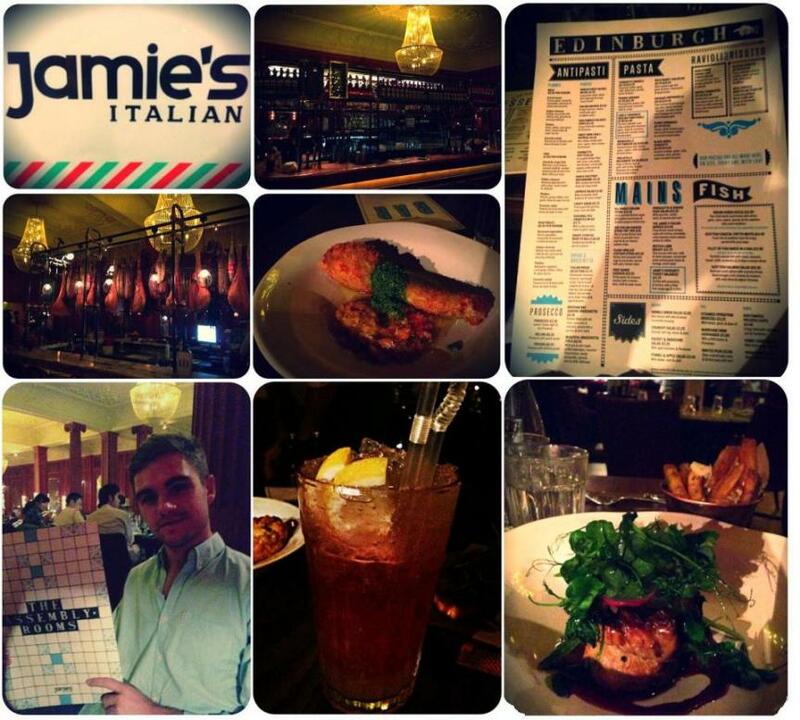 Highly recommend the branch of Jamie's Italian Restaurant in Edinburgh. It is in the Assembly Rooms on George Street in a magnificent room at the back of the building. I had a delicious prosecco and pomegranate cocktail followed by courgette fritto flower stuffed with ricotta, mozarella, mint and lemon served with pesto. For my main course I had a prosciutto and shaved pear salad with pine nuts. To top off a delicious meal, we shared a yummy chocolate mousse pot! Very good service and great atmosphere!